Amazon was launched in Seattle in 1994. In its origins, it was just another online bookstore –not the first one. But in the mind of its creator, Jeff Bezos, books were only the most convenient product to sell online at the time –the first product of what was planned to become the world’s largest online retailer, selling every kind of products, from A to Z, as represented in its logo. Let’s look back into the 90s. On one hand, the Internet was a boom and there were many companies earning big money on the Internet, but most of them didn't have a solid basis –the dotcom bubble was ready to crash in the late 90s. On the other hand, Internet connections were pretty slow and most people weren’t used to making purchases online. In that scenario, was it possible to create an online store from scratch, survive the implosion of most Internet giants, become the largest Internet company by revenue and make of its founder the richest man of the world in 2017, according to Forbes? Slow but steady growth. Unlike most Internet companies in the 90s, Amazon wasn’t designed to earn benefits in the shortest term. Bezos planned to lose (a lot of) money during the first 4 or 5 years. Actually, Amazon didn’t have benefits until 2001. The capacity of Bezos to sell his business model to the (usually impatient) investors, was the key that allowed Amazon to survive the dotcom bubble and to become what it is now. Innovation. Innovation is certainly a key factor for any Internet business. But Amazon was “just” a retailer. Some would have expected innovation in marketing, sales, logistic issues, or shipping. But Amazon went one step further –they created their own high tech products. 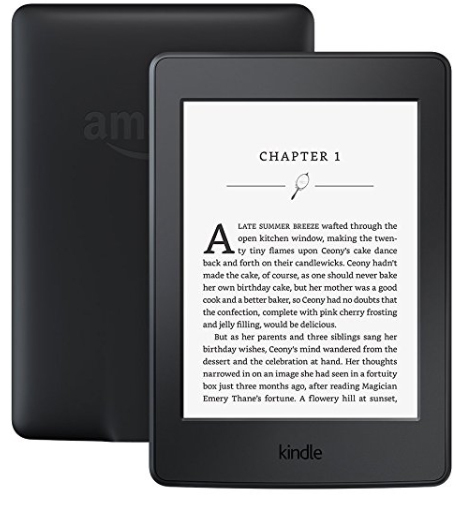 With the rise of ebooks, Amazon created their own e-Reader Kindle, a tablet provided with “electronic ink” and designed only to read books. Amazon’s Kindle wasn’t the first e-Reader, but it was 2007 and Amazon already had millions of loyal customers willing to get one. Later, Amazon has created Alexa –an electronic personal assistant– and other top services such as Amazon Prime Video or Twitch. Customer service. 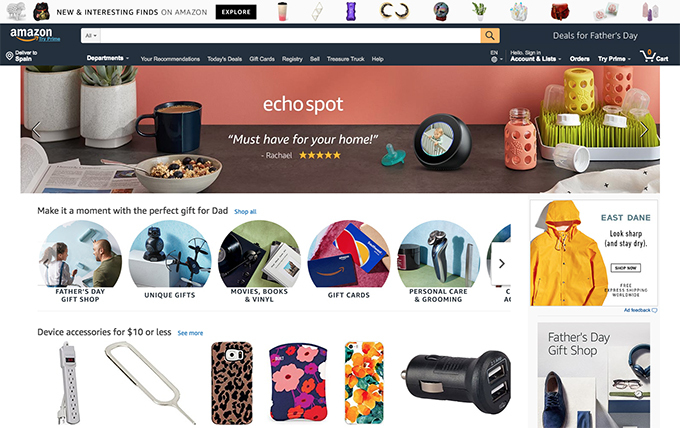 Let's go back to the 90’s –you are not yet used to buying things online and several doubts arise when you think about it: who is behind this Amazon website? Will my credit card data be safe? What happens if I don’t like what I bought? Or if it’s broken? Who can I complain to? The keyword here was Trust. The people at Amazon knew that the first step to creating something big was gaining the trust of the people, and the way to do it was putting the focus on customer service. Amazon was not the only online store, but it’s customer service excelled over all the others. Once their customers were happy, word of mouth did the job. Logistics. When you have online stores all around the world and millions of orders each day, storage, shipping, and delivery are probably the most complicated problem you must face. Especially when your customers are not willing to wait one week to get what they bought. Quick delivery is one of Amazon’s strengths and a basic part of them focusing on customers. With Amazon Prime, you may receive your order as soon as the next day –in some places, even the same day. Physical shops and drones seem to be the near future. Finally, we must state that Jeff Bezos’ peculiar personality and perception is with no doubt a key of Amazon’s success. The Internet is full of stories about Bezos' eccentric character and attitude. But, like Steve Jobs or Elon Musk, he is one of those rare individuals capable of picking up an idea, focusing on it, and taking it from A to Z.